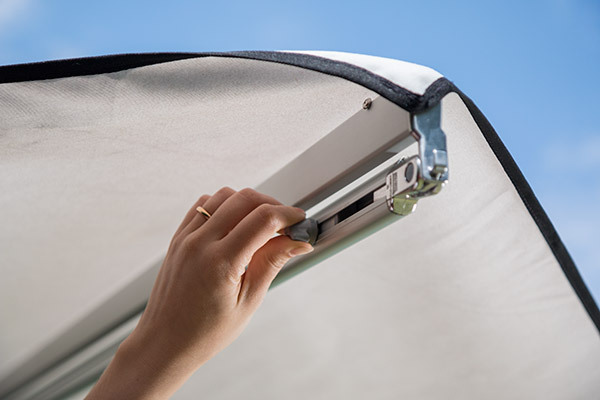 A single person is able to open and close the awning autonomously. The awning is manually operated. 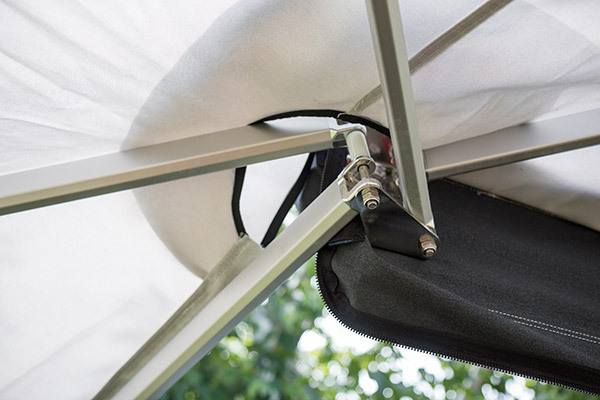 The arms with integrated legs, lightness of the structure and fabric make the opening and closing of the awning simple and fast. 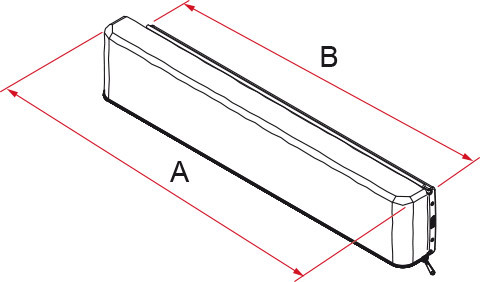 Compass opening: Circular manual opening at 270° ensures a shaded area on both the front part and rear. 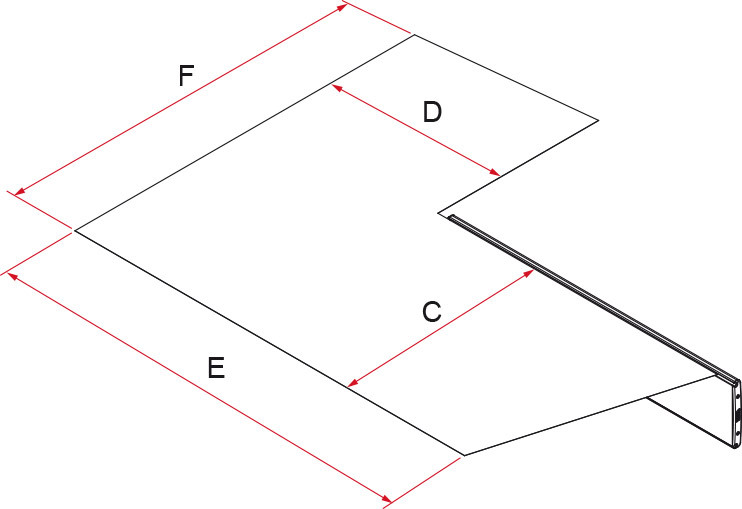 Legs integrated: legs must not be dismantled to insert the awning into the bag. Short opening and closing times. The awning is manually operated. 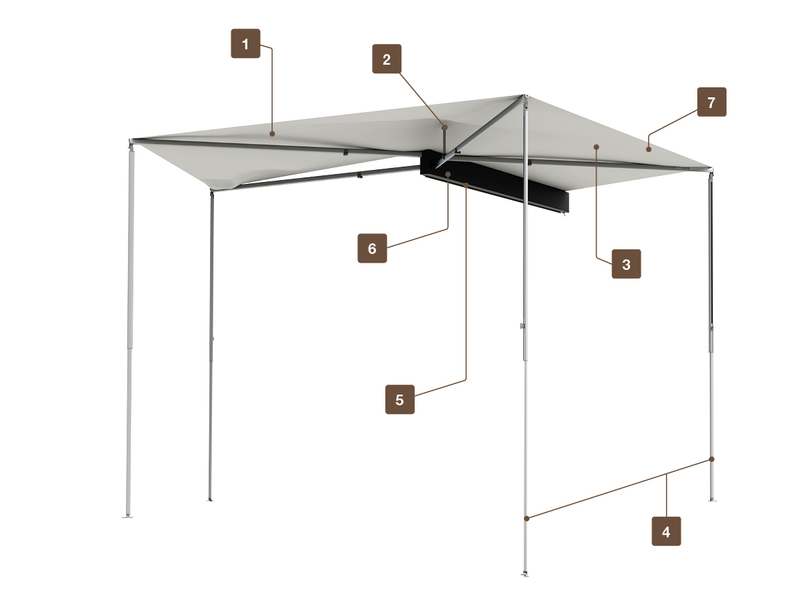 The arms with integrated legs, lightness of the structure and fabric make the opening and closing of the awning simple and fast. It can be done even by one person. 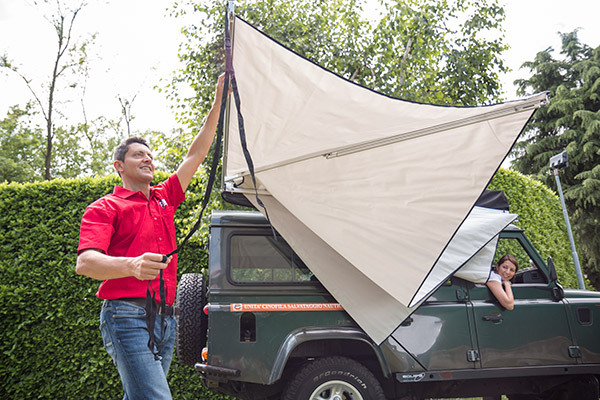 Designed for4 x 4s and camper vans. Designed for wall installation. Installation adapter optional available. Canopy: Light Grey. 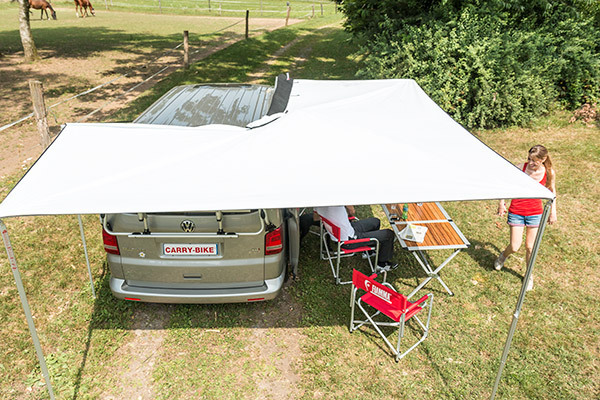 Fabric: light grey polyester canopy, maximum durability, waterproof, resistant to dirt and wrinkle-free. 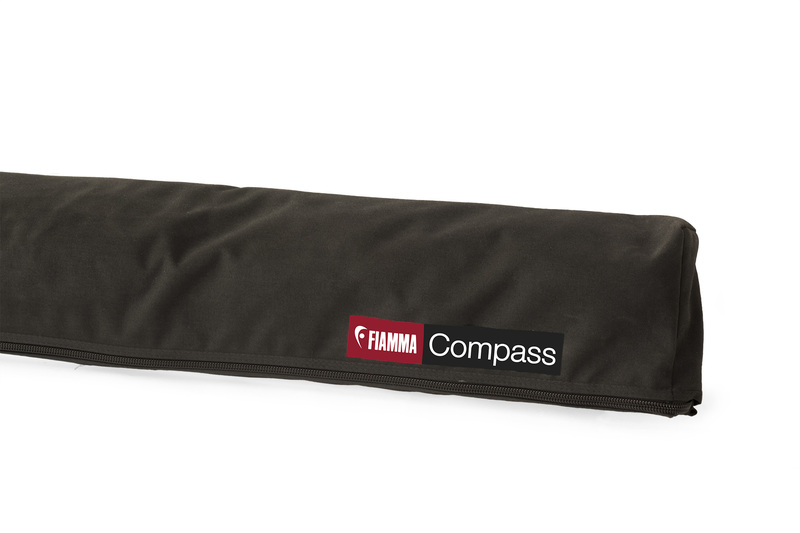 On 4 x 4s: Installation can be done using Fiamma adapters Kit 98655-310 (Kit Auto) and 98655-770 (Kit Roof Rail) to be mounted on the roof cross bars of the vehicle (before starting installation verify the fixing height - min 200cm / max 220cm). 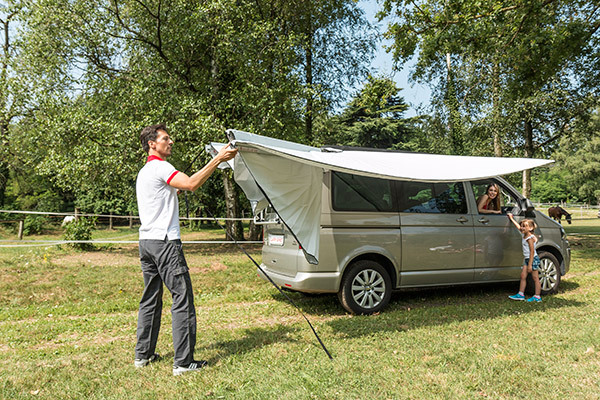 On Camper vans: Installation can be done using Fiamma Adapter Kit 98655Z018 on VWT5 and T6 Multivan and Transporter models. 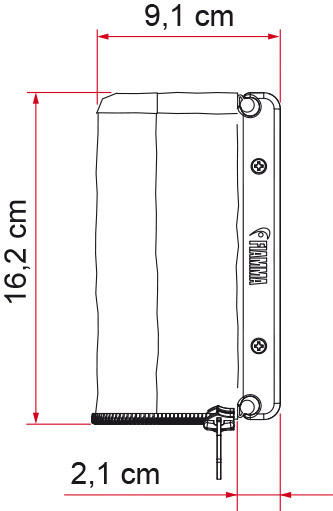 For installation on Renault Trafic, see specific brackets. 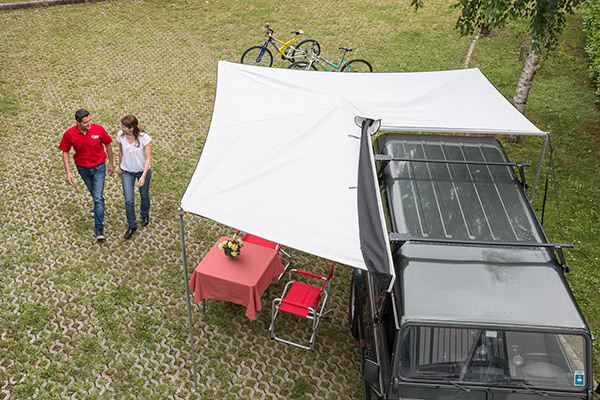 Attention : When the awning is fully open, for safety reasons, it only allows partial opening of the rear door.